BACKING ONTO THE PARK!!! DEVELOPED BASEMENT! 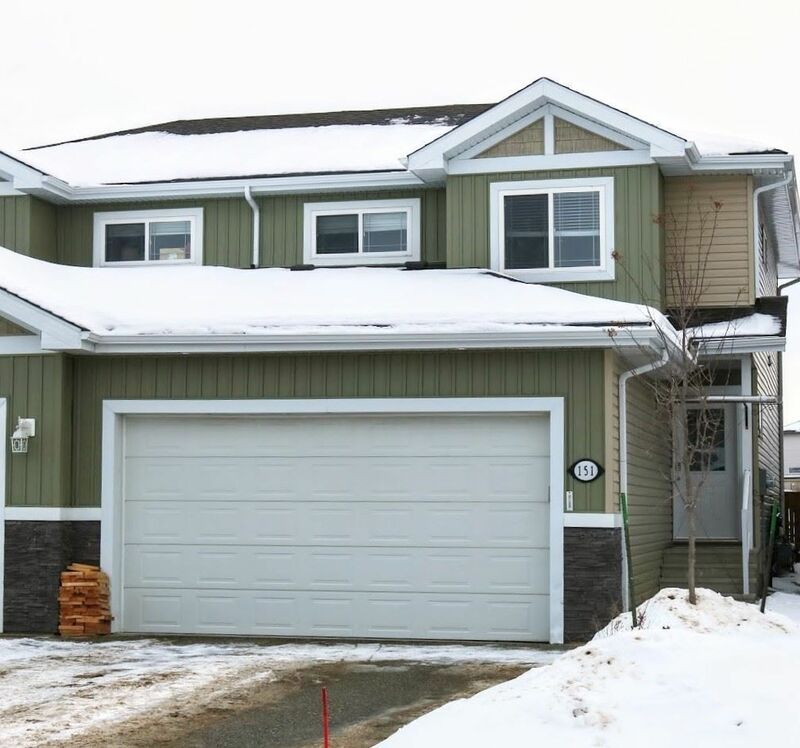 This 4 BEDROOM half duplex has many upgrades such features as hardwood flooring, upgraded tiles, California knockdown ceiling, upgraded shelving in pantry, upstairs laundry with front load washer & dryer. The kitchen boosts granite counter tops, gorgeous tiles with clean white cabinets to the ceiling complemented by stainless steel appliances (main). The island is supported by modern steel like supports to add that special touch. The basement has been professionally developed with a extra bedroom, family room, 3 piece bath and plenty of storage. The garage is dry walled, insulated, painted with stippled ceiling and with that extra bonus of being heated. The back yard has a good size deck with natural gas hookups for barbecuing on hot summer nights. The yard is nicely fenced with metal gate access to the park and has two apple trees. There is nothing better than sitting in the back yard looking out on the park sitting around a fire. Don't miss out! !